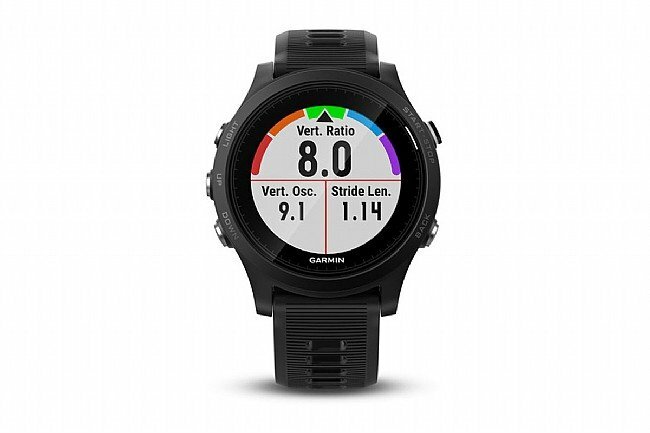 The Garmin Forerunner 935 GPS Watch is the perfect GPS watch to ensure dedicated athlete's get up and beat yesterday, day after day. 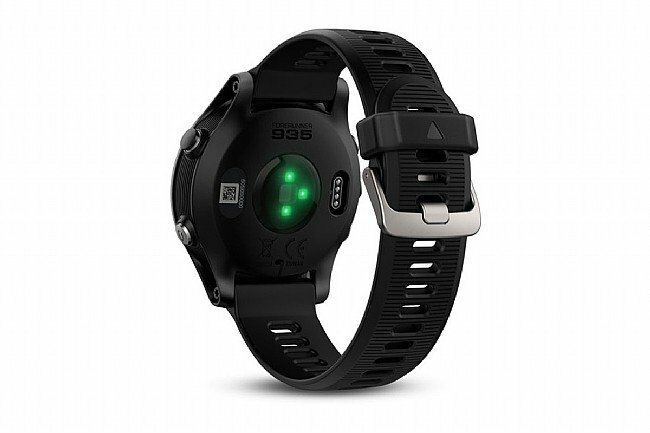 With features like wrist-based heart rate monitoring, training status, VO2 max and recovery monitoring, this watch is well-equipped for even the most demanding athletes. The Forerunner 935 is more than just a sports watch, it's also a comfortable and fashionable accessory that integrates with your smartphone, pushing notifications from your phone to your wrist. With Garmin's QuickFit™ bands, this watch fits the occasion with a simple swap of the band, replacing it with a more casual or professional band as needed. Of course, the Forerunner 935 is an incredibly advanced sports watch, using biomechanical analysis to give in-depth, realtime assessment of performance. But this watch doesn't stop when the ride, run, or swim ends. 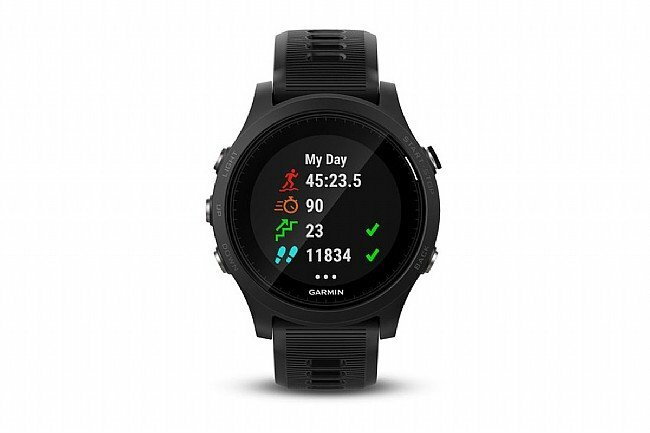 With Training Feedback, Sleep Analysis, and Recovery Monitoring, this watch just might become an integral tool in any serious athlete's arsenal. To take this watch even further, integrating with the TrainingPeaks Connect IQ app allows access to daily workouts, as well as Strava Live Segments. 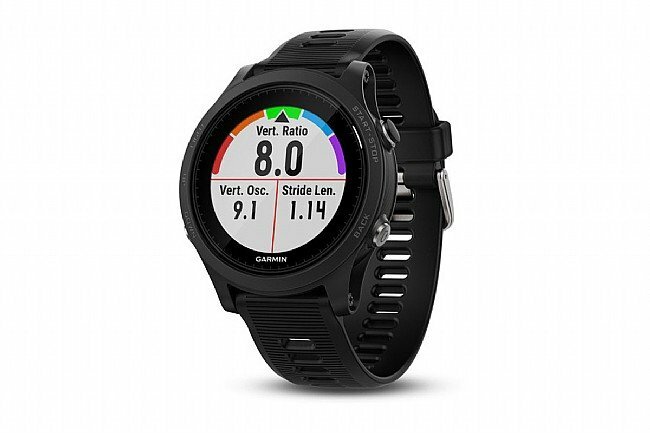 The Garmin Forerunner 935 GPS Watch includes a USB charging cable, the Garmin Forerunner 935 GPS watch, and a user manual. Advanced running and multisport features in a comfortable, versatile watch. Water-proof up to 5 ATM. Battery life: up to 2 weeks in watch mode, 24 hours in GPS mode. Removable QuickFit™ bands allow match any outfit or any occasion. Built-in barometer, altimeter and electronic compass provide elevation and orientation information. Monitor recovery analysis, sleep tracking, and training status. Syncs with compatible Smartphones to push notifications from your phone to your wrist. This is the perfect all fitness watch! I mainly use it for the bike activity. I use this watch with the Garmin Varia radar and it works great. The radar flashes and makes a tone on the watch when a car is within range. The golf activity is great to use as well. The smart phone integration is much faster than the 235 & 735. Battery life is strong and the vibration notification is smooth and doesn't rattle when activated. Biketiresdirect has superior customer service and support with this watch. Excellent watch highly recommend to others. I like the bike, golf & swim features pool and open water functionality. The Connect App helps keep track of daily, monthly goals. Very pleased with the purchase. Bike Tires direct is the best, free shipping plus $$ off this order for prior gold account purchases. The battery life on the Garmin 935 is everything it is hyped to be. I recently used mine for an adventure race of over 20 hours and it was still going strong. Size and performance have been great as well. Customer service cannot be beat. Highly recommended. If I were a runner, this would be a must. I don't run anymore but great for swimming. HR function works fine wo a strap. Interface with Garmin Connect Outstanding for tracking activities. 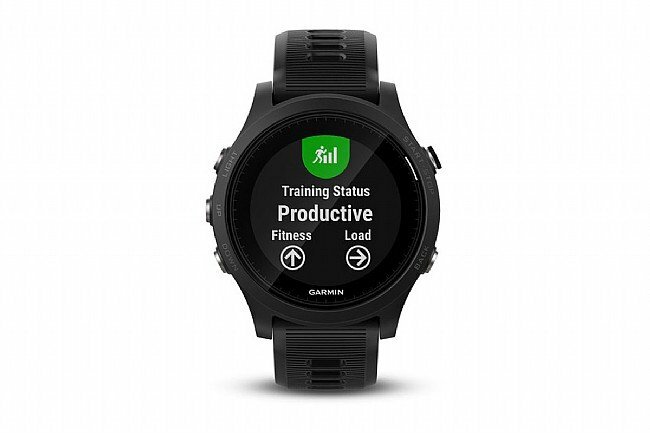 Another outstanding Garmin product. Battery lasts about 3 wks.